U.S Navy Vize Admiral, Chief of the Bureau of Chips. 04-11-1959, age 67, New Haven, Connecticut. Arlington Cemetery, Virginia USA. Section 30-Grave 59- LH. who died age 71, on 27-04-1913, in Chester, was a United States Navy officer and noted naval architect who served as Chief of the Bureau of Ships during World War II. In this capacity, he was directly responsible for the Navy’s massive shipbuilding. During World War I, he served at Philadelphia Naval Shipyard and transferred to the Navy’s Construction Corps. Not a battlefield Admiral, Cochrane’s virtues and capabilities were outstanding, but his meticulous concern for the professional work of his immediate subordinates was sometimes a cause of delay in final release of designs. To some this appeared like mistrust, to others it showed interest and encouragement. The over-all effect was to drive Cochrane into double duty and to keep him constantly under pressure. There were more than 6.000 people in the Bureau of Ships in World War II. Cochrane organized them effectively and added die stamp of his own personal judgment on the character and quality of a vast number of ships. His leadership impressed all hands with the importance of what they were doing and inspired them with the desire to give their best. Cochrane, as a vigorous administrator, was quick to decide on policy, but insistent on thorough staff work on technical matters. He was basically a naval architect with an intense desire for perfection. There is no doubt that Cochrane felt an overriding sense of personal responsibility for the design and construction of every WWII ship for which his Bureau was responsible. This was possible only by the expenditure of extraordinary energy. 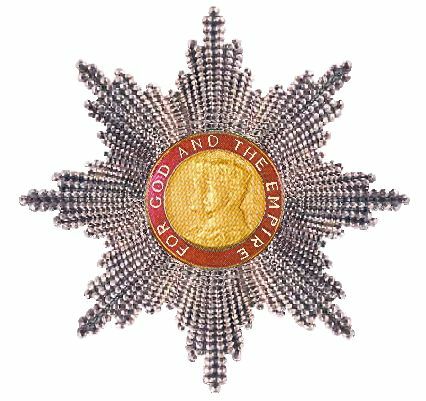 Cochrane was also awarded the Distinguished Service Medal and was an honorary Knight Commander of the Order of the British Empire. Death and burial groundof Cochrane, Edward Lull “Ned”. Edward Cochrane died at the age of 67, on 04-11-1959 in New Haven, Connecticut and is buried with his wife Charlotte, born Wilson, who died, very old age 104, in 1994, at the Arlington National Cemetery in Section 30. Close by in Section 30 the graves of the Lieutenant General, Commander of the 26th Infantry Division, nickname ‘Yankee Division” , Willard Paul, During World War II, the 26th Infantry Division spent 199 days in combat. During that time, it suffered 1.678 killed in action, 7.379 wounded in action, 740 missing in action, 159 prisoners of war, and 6.895 non-battle casualties, for a total of 16.851 casualties during the conflict. Soldiers of the division received two Medals of Honor, and won 38 Distinguished Service Crosses, seven Legions of Merit, 927 Silver Stars, 42 Soldier’s Medals, 5.331 Bronze Star Medals, and 98 Air Medals. The division returned to the United States and inactivated at Camp Myles Standish, Massachusetts on 21-12-1945. Also buried here Major General, Chief Signal Officer, Georg Back, Navy Rear admiral, Frank Akers, Lieutenant General, Commander 2nd Armoured Division, nickname `Hell on Wheels` Ted Brooks. In 238 battle days the 2nd Armored suffered 7.348 casualties, including 1.160 killed in action. The division was recognized for distinguished service and bravery with 9.369 individual awards, including two Medals of Honor, twenty-three Distinguished Service Crosses and 2.302 Silver Stars as well as nearly 6.000 Purple Hearts; among those receiving the silver star were Douglas MacArthur. The division was twice cited by the Belgian Government and division soldiers for the next 50 years proudly wore the foragers of the Belgian Croix de Guerre. Also buried here Fleet Deputy Chief Operations, Richard Edwards, Major General, Commander 116th and 29th Division, D-Day, Charles Canham and Admiral Robert Ghormley. Clay, Lucius DuBignon Sr "the Kaiser".